#ABookishYear is a weekly dispatch from the front lines of an intellectual journey spanning fifty-two tomes. You know those books—maybe they’re classics, maybe they’re new but very popular—that Everyone-But-You seems to have read? I imagine we all have a few. Our lives somehow arranged themselves so that we never had to read the book for class, or we saw the title every time we went to the library but never bothered to borrow it for whatever reason. Perhaps we’ve developed a minor complex about the whole thing; smile self-consciously every time someone mentions Proust’s madeleine, enough to show you get the reference but not so much that the person you’re talking feels encouraged to delve into specific plot points. Maybe we’ve dug our heels in, decided that peer pressure is no way to approach the joys of literature. In any case, we all have strong feelings about these titles, even as we continue to only understand them from the snippets we catch on the wind. Even before I watched the film adaptation of The Color Purple, I could hear that line in my mind as clearly as if it were being uttered by Oprah Winfrey’s character Sofia herself, filled with exhaustion and rage. I also was familiar with the line that precedes that one: “You told Harpo to beat me.” From what I could gather, Winfrey was playing a victim of domestic violence. Imagine my surprise when it was first lobbed me in a joking tone, by a male relative, no less, after I’d described an instance of racism in the workplace. Whether the intention was to point out that perhaps my story wasn’t actually all that big of a deal or simply to align me with a long list of downtrodden black women, it was without a doubt meant to diminish the pain I was attempting to express in that moment. Looking back, I wonder if he’d actually seen the movie himself, if he knew how closely he mirrored its male characters’ pointed ignorance on the subject of black female suffering. I’ve kept tabs on that line ever since. It’s sometimes used for the sake of exaggeration—in reference to being unable to open a tightly sealed jar or having grown up with a mother whose zodiac sign leaves something to be desired. More often, it’s used like a derogatory adjective, referring to a physical appearance that’s unkempt. It’s been memed, parodied, referenced in a Kendrick Lamar song. I’m not diametrically opposed to its usage as a punchline, but for gallows humor to be successful, it ought to combine amusement with a healthy dose of discomfort, which often appears to be missing. Too often, the joke seems to be that Sofia was large, black, poor woman with undone hair and a southern accent. The collective consciousness doesn’t seem to know or care that she was talking about a lifetime of fighting off abusive and/or incestuous relatives, that her husband was encouraged to do so by another woman who was routinely beat and raped by male family members. Perhaps this is simply what happens when a line travels faster than the story. After all, we tell each other that imitation is the sincerest form of flattery without sharing the rest of Oscar Wilde’s quote: “That mediocrity can pay to greatness.” We joke in bad Australian accents about dingos eating babies, possibly unaware of the fact that we’re referencing an instance in which an actual woman’s nine-week-old daughter was in fact attacked and killed by a dingo, before she ended up wrongfully convicted of the child’s murder. Then again, I’d be lying if I said my unease with Sofia’s monologue-turned-punchline didn’t feel much more familiar than all that. It’s a sinking feeling I recognize when folks toss off one-liners referencing R.Kelly and urination, as if it’s his preference for watersports that’s odd, and not the fact that he’s a sexual predator with a clear preference for targeting underage black girls. It’s the jokes that flew when Mo’Nique publicly accused Netflix of lowballing her for a comedy special and embarked on a press tour to tell her story. It’s that plunging sensation I get when I’m reminded that, as a black woman, my struggles, my pain, both emotional and physical, my story is always at risk of being rendered a punchline. On some level, I’ve always known this, always felt it, though I never quite knew what to do with that knowledge. 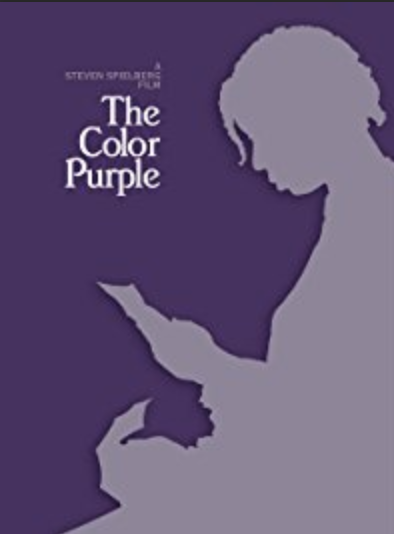 I read The Color Purple feeling as if I was in the hands of a writer who knew it, too. I watched The Color Purple feeling as if levity had seeped in where it didn’t belong—as it so often does—despite the best of intentions. It took several years for me to finally sit with this story, but in a way, it all happened right on time. I had to sit with the unearned derision and mockery surrounding it in order to truly understand the depths of tragedy contained within. who might just make it after all.